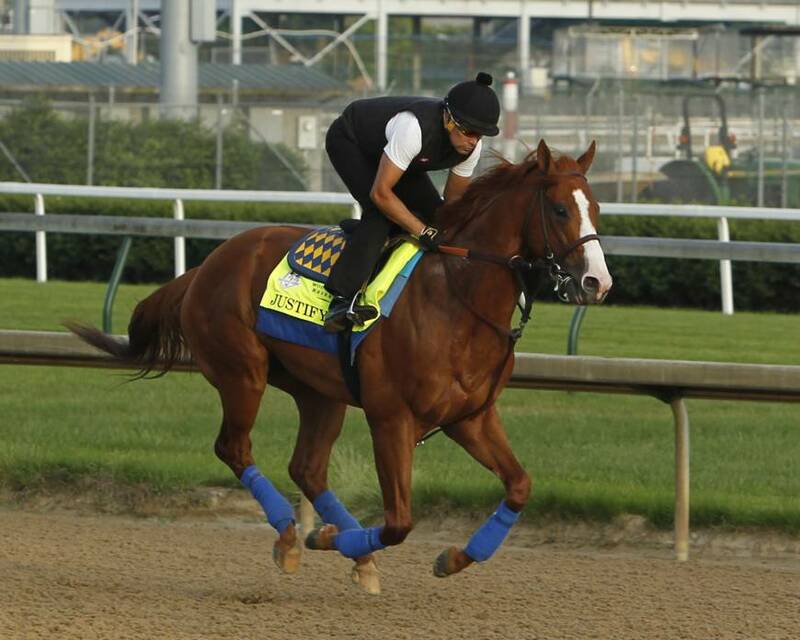 Kentucky Derby and Preakness winner Justify has galloped at Churchill Downs in front of trainer Bob Baffert as the Triple Crown hopeful trains for the Belmont Stakes. Baffert arrived from Southern California to watch Justify gallop 1½ miles on Monday. The trainer says the 3-year-old colt could breeze Tuesday. That’s a workout when Justify would easily run under a hold without encouragement from his exercise rider. Baffert says everything is going smoothly with Justify’s training for the June 9 Belmont and the colt is holding his weight despite his condensed racing schedule this spring. 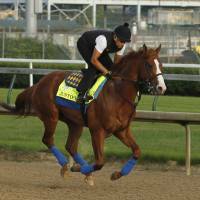 Other possible Belmont contenders are training at Churchill, including Restoring Hope, which could be Baffert’s other entry in the 1½-mile race. Also in Louisville is Preakness runner-up Bravazo, Tenfold, who was third in the Preakness, and Free Drop Billy.